Rohingyas are a native, pre-colonial ethnic minority group of Rakhine State of Western Myanmar (formerly Burma), which shares 170-miles long modern-day borders with Bangladesh (formerly East Pakistan). Rohingya people view Myanmar as the country to which they belong. They also share a linguistic and cultural affinity with communities in Chittagong, Bangladesh – an affinity which is widely mis-perceived as being outsiders from Bangladesh. Their ethnic identity, “Rohingya” which is predominantly Muslim – as opposed to 16 other “Muslim groups” with diverse ethnic backgrounds found in Burma or Myanmar – has been documented in primary historical sources,[i] which date back to the 18th century, and decades before the British rule begun in Rakhine (then known as Arakan or Aracan to the outside world) in 1824. The British colonial censuses of the 19th century, which were based on the then prevailing pseudo-scientific European conceptions of “race” and conducted for the sake of administrative convenience and control of the subjugated populations, did not record Rohingyas under their ethnic identity but instead used linguistic and religious markers such as “Bengali (speakers)” or “Mohamedan”, just as they recorded many of today’s official “ethnic nationalities” under different categories and markers. Therefore, the typical portrayal of Rohingyas, in both international media and international policy circles, as a people who have lived in Burma for generations but not recognized as natives of Western Myanmar nor granted citizenship, is factually incorrect. They are as “indigenous” as any other ethnic group that is officially recognised by the Burmese state as an “ethnic nationality”. What is unique about Rakhine as a western state with 170-miles borders with Bangladesh, as opposed to other Eastern and Northern states (provinces) that share over 1,000 miles each with China and India? First, Rakhine, in effect, is a colony of the majority Burmese Buddhists, not dissimilar to Scotland and N. Ireland or Wales within the United Kingdom. Second, the majority of the residents of Rakhine are Buddhists who consistently outnumber Rohingya Muslims by 3:1. Third, Rohingya Muslims have more cultural, religious and ethnolinguistic similarities with the adjacent Chittagonian communities in the adjacent Chittagong Province of the old East Bengal of present day Bangladesh while Rakhine Buddhists are closer to the colonizing Burmese majority in ethno-linguistic, religious and cultural terms. Fourth, unlike the rest of the Muslim populations in Myanmar only the Rohingyas have their own distinct ancestral region– namely Northern Arakan or Rakhine – where they are concentrated as the majority community. [iii] Fifth, importantly, unlike China’s southern most provinces and India’s Northeast territories on Myanmar’s borders, Bangladesh is predominantly Islamic. Sixth, the Burmese Armed Forces have, since independence, shared the colonial-era resentment and fear[iv] of people with Indo-Aryan features (people of Indian sub-continent ancestry) and more specifically, Muslims. Since the military rule of 1962, Burma’s leaders institutionalized Muslim-free policies within the military. And seventh and finally, the Muslim Rohingyas of Rakhine, with historical, cultural and demographic ties to Chittagong, are first viewed by the Burmese military leaderships as a potential proxy for the State of Bangladesh or trojan horse with an intention to annex Northern Rakhine State. Ironically, it was the Buddhist Burmese feudal kingdom that annexed Arakan or Rakhine in December 1784, through a brutal military conquest. [v] In 1826, the Burmese conquerors lost Rakhine to Britain as the result of the military defeat in the First (of 3) Anglo-Burmese War. In 1948, the Burmese regained its control over Rakhine annex. From the perspective of Rakhine Buddhist nationalists, Burma’s independence was nothing more than the release of Rakhine as an annex from the clutches of British colonial rule into the hands of the Burmese colonialists. How do the Burmese public view the Rohingya? Rohingyas are widely seen by the Burmese public, including other ethnic minorities and other Muslim groups, as “Bengalis whose ancestors migrated to Western Myanmar only during the British colonial rule as agricultural seasonal labourers”. This is the view Aung San Suu Kyi herself shares with the Burmese military leaders who she is in partnership with. But this is the direct outcome of government propaganda, not reflecting the factual backgrounds about the group, but the effectiveness of decades of official acts of propaganda including erasing and/or denying any official and historical references to Rohingya identity, presence and history in Burma. Why do the Burmese public reject and hate the Rohingya people so much? Until the two bouts of organized mass violence primarily against Rohingya communities across Rakhine State, the public in Myanmar generally were not familiar with the name Rohingya, nor were they cognizant of the fact that there was a people called Rohingya. Instead what the Burmese public learned from the official history textbook about the post-independence national history of Myanmar is that there were Muslims in Rakhine state that waged an armed separatist movement under the banner of “Mujahidins”, whose aim was to join up with the then East Pakistan (and since 1971 Bangladesh). Myanmar military that have had monopoly control over all state institutions with direct and indirect influence over public opinion and sentiment, namely, schools, religious organizations, economic organizations, universities, bureaucracy, and media, succeeded in erasing the word Rohingya from public discourses. When in June and October 2012, violence in Rakhine state erupted in the form of sectarian conflicts or communal conflicts between Rakhine Buddhists and Rohingya Muslims (as well as other Muslims) it became headlines news, in Myanmar and around the world. This official discourse about the Rohingya has been adopted by all non-Muslim segments of the Burmese society, including majoritarian Buddhists and minorities of all denominations for the reason that the colonial-era general anti-“Indian” and subsequently anti-Muslim racism continues to pervade the social fabric of Myanmar. It is the military and the set of governing institutions, including Burmese language state media, that systematically disseminates the fear and loathing of Rohingyas as a “fake” ethnic group which is viewed as attempting to take a slice of Rakhine region and join it up with Muslim Bangladesh. The result is a pervasive and blinding anti-Rohingya racism, which in turn facilitates public rejection of any official documentation and historical evidence of Rohingya being an ethnic group of Myanmar, formerly endowed with equal and full citizenship rights, with an administrative region of their own. 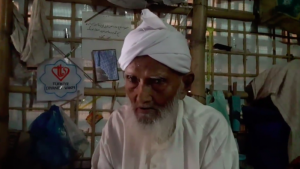 What do the Rohingya people want and need? All that the Rohingya people demand and need is to live in their own ancestral birthplace of Rakhine State of Western Myanmar, peacefully alongside other non-Rohingya and non-Muslims including the state’s majority Buddhist Rakhine. They want their equal rights and citizenship restored and their ethnic identity respected and honoured as before. Rohingya leaders, activists and organization do not call for secession, or the establishment of a new and independent country, or making Northern Rakhine state an annex of Bangladesh. Compiled and written by Maung Zarni, PhD (University of Wisconsin at Madison). The author is a Burmese Buddhist from an extended family whose members have served in Myanmar Tatmadaw or Armed Forces for 3 generations since its inception in 1942. Zarni himself was a military cadet-admit to the Officers Training Corp (Teza-10 Intake), 1979. His late great-uncle, Zeya Kyaw Htin Lt. 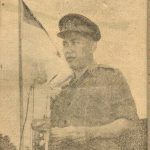 Colonel Ant Kywe (Recipient of the Union of Burma’s National Chronicle Grade I Award), was Deputy Commander of All Rakhine Command and Deputy Chief of the predominantly Rohingya Mayu District Administration (1961-63). [iii] See Official Encyclopedia of Burma (Burmese), Literary House, Union of Burma Government Press, V. 9, under “Mayu District” (of Rohingya), 1964.